Aero-photo of necropolis in Caere. The middle part outlined with the line is explored. 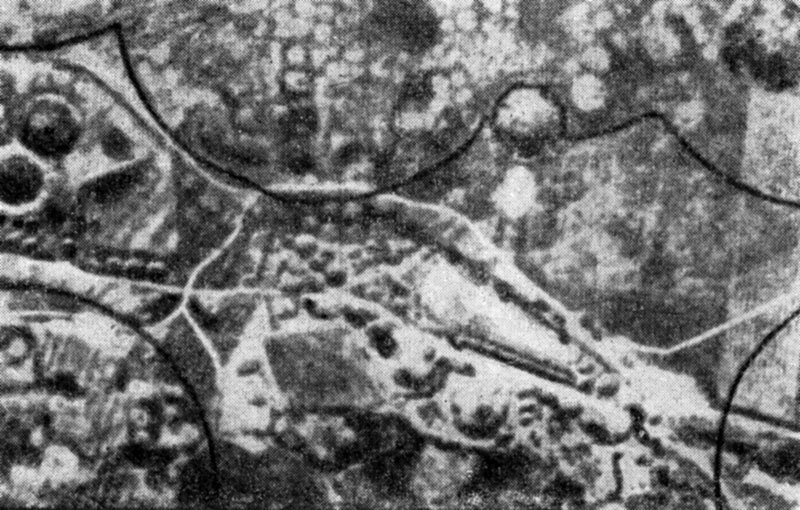 The white circles outside it are non-excavated tumuli. © 1970 Photo, text: Burian Ja., Mouhova B. Zagadochnye jetruski. Izd-vo «Nauka», Glavnaja redakcija vostochnoj literatury. M., 1970. S. 22.